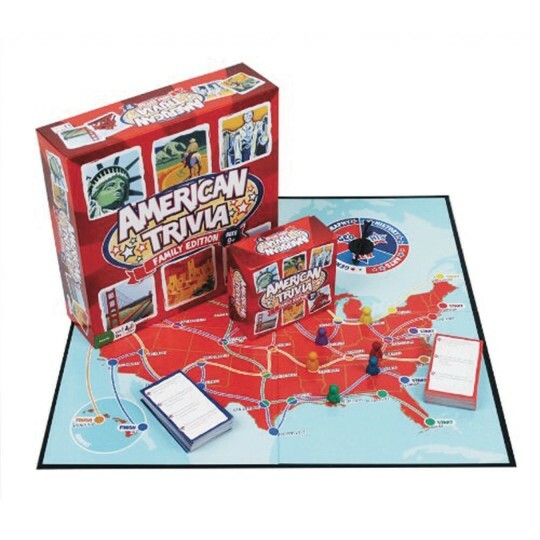 Unlike most trivia games, this one features mostly knowledge-based content rather than trivial tidbits. Each card features two sides - one with easier questions and the other with more challenging questions, allowing players of all ages and ability levels to play together. Includes game board, 360 cards, 6 game pawns, 1 spinner and instructions. We purchased for our residents with dementia the have really enjoyed the games.